Dr Georgia Bavin knew she wanted to move to Tasmania for the lifestyle but got more than she had ever dreamed of when it came to her GP training. I applied to General Practice Training Tasmania in 2014, so my husband and I could move to Tasmania for the lifestyle,” Dr Georgia said. “We have lived in Launceston for three and a half years now and absolutely love it. “In our time off we love exploring Tasmania and enjoying its beautiful wilderness, creative arts, and amazing produce. “The lifestyle change has been fantastic, but I have been equally as fortunate with my GP training. Currently, Dr Georgia is working as a GP Registrar at Longford Medical and Perth Doctors Surgery. Working in a rural environment, Dr Georgia has had the chance to upskill while embracing all aspects of general practice. “ Every day as a GP is different, and you never know what is going to come through the door,” she said. “Another aspect of general practice that I love is the career can be so varied, and I’m always learning. Over the next few years, she hopes to be able to develop her experience in women’s health. “I am particularly interested in women’s health, reproductive and sexual health, preventative health and lifestyle medicine,” she said. While still undertaking her education, Dr Georgia has found the time to give back to other students. 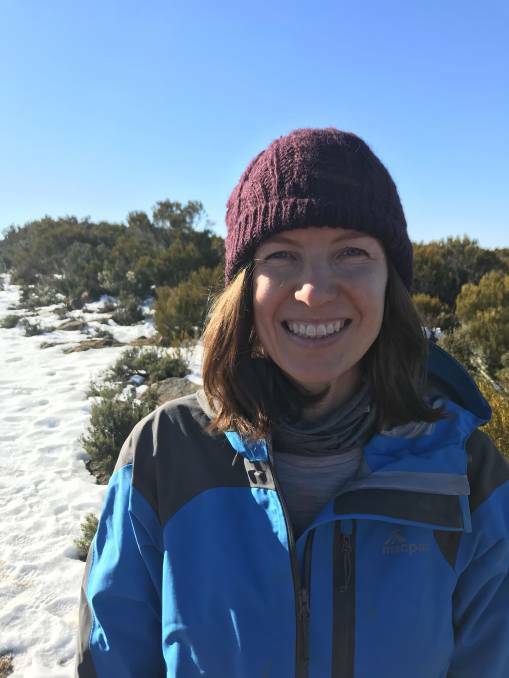 “This year I have started tutoring UTAS medical students in their Patient Partner Program, a great program where students learn from volunteer community patients with chronic illness,” she explained.